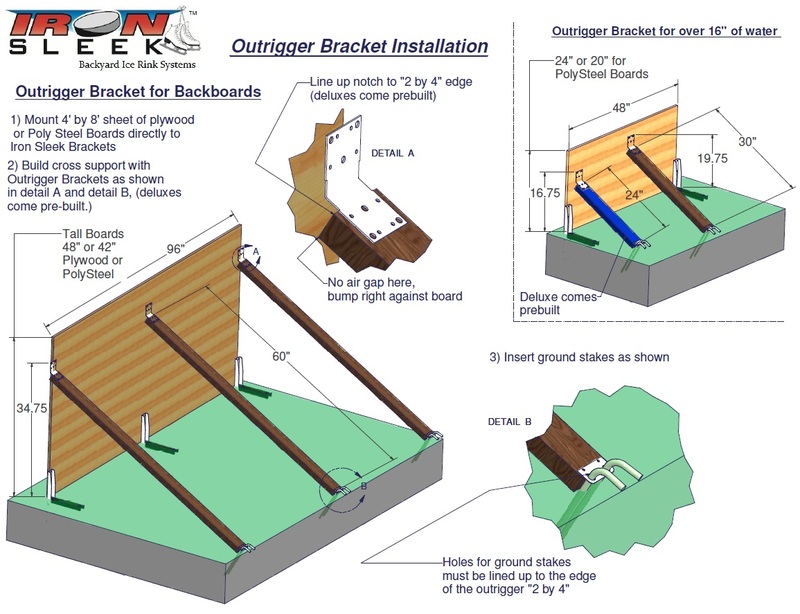 Outrigger tall is used to help support the impact loads of skaters, big slap shots, and to counter act the leverage present with tall boards while keeping an awesome professional look for many years to come. 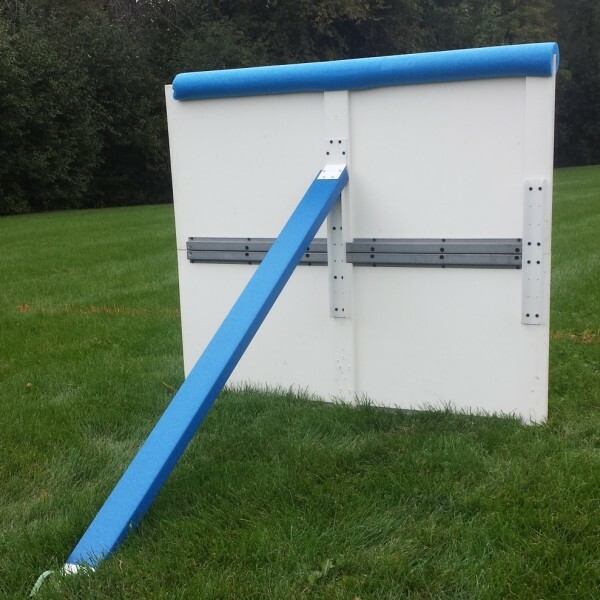 The outrigger deluxe tall is 5 feet long and is 1.5" thick by 3.5" wide. It is basically an HDPE UV stabilized 2 by 4 in luxurious blue. It is 100% plastic with the standard Iron Sleek Outrigger brackets attached. 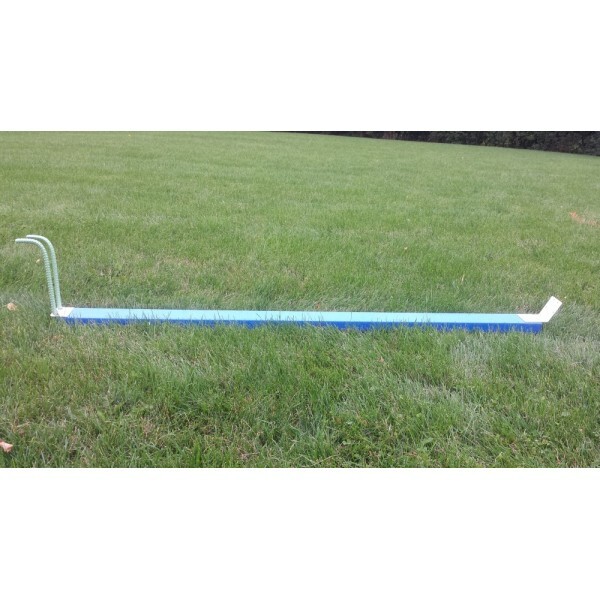 It also comes fully assembled and includes ground stakes. This can be done with a basic Iron Sleek outrigger but the deluxe does it with top style.